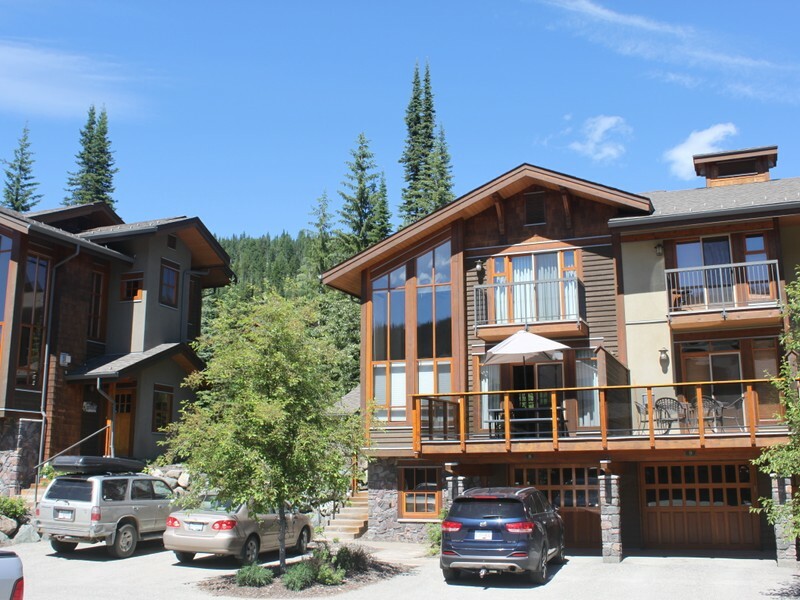 With exceptional ski in ski out location this 4 bedroom, 3 bathroom town home is located at the base of majestic Mt. Morrisey. 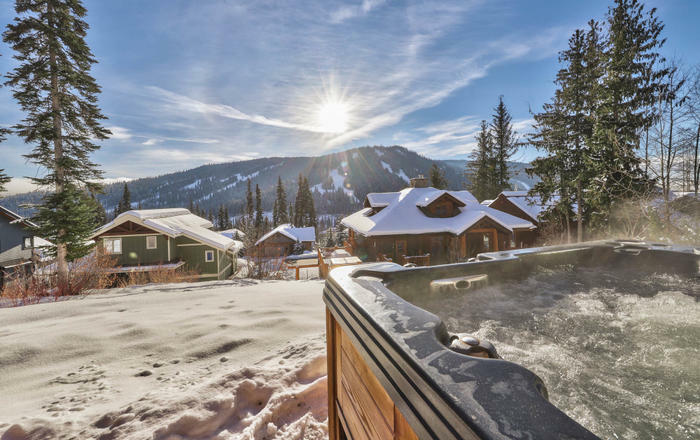 Loosen up after an active day on the slopes as you unwind in your private hot tub, or relax by the calming flame of the beautiful river rock gas fireplace. 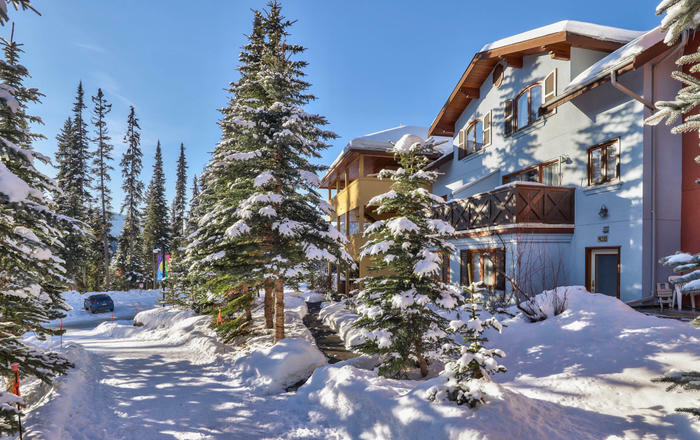 This elegant mountain retreat features all of the up to date conveniences and deluxe amenities offered in top quality homes. 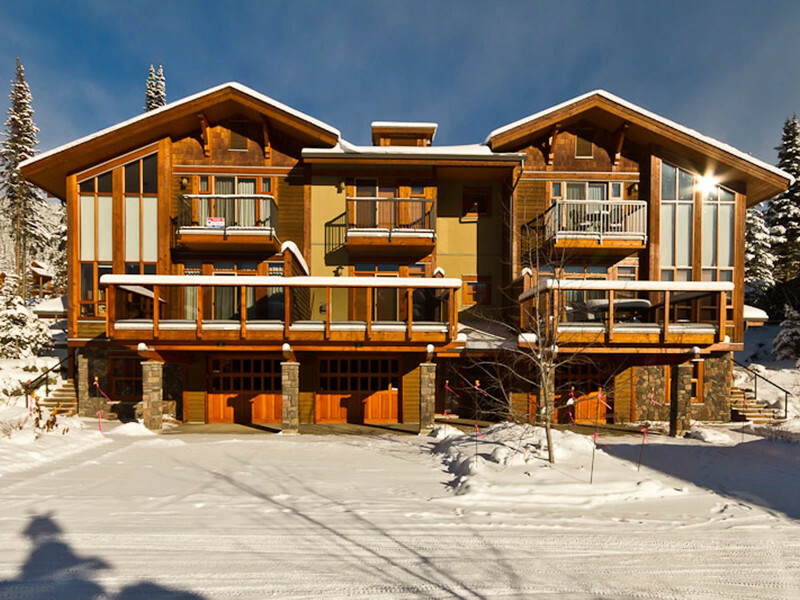 Located in the eastern end of the resort, Woodhaven offers an elegant and practical design to enhance your ski vacation. 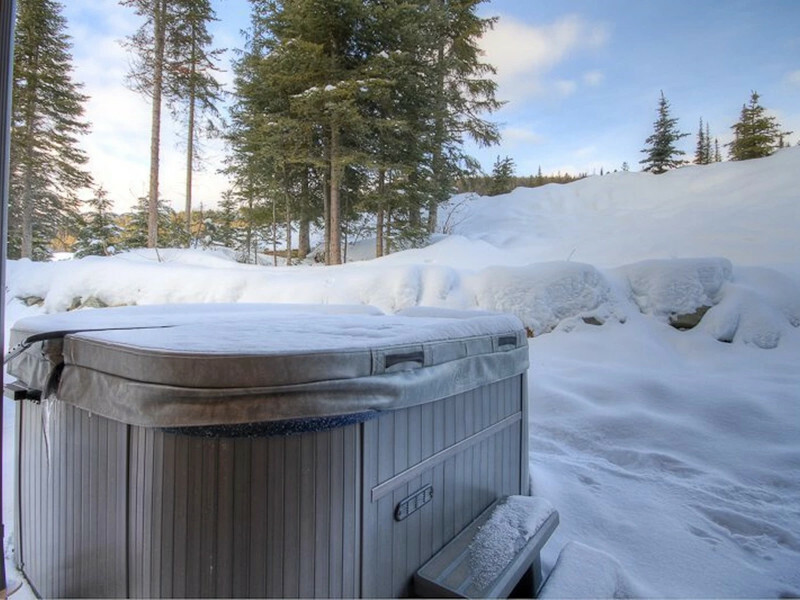 With the ski-in/ski-out feature you are steps away from exploring the mountain runs. 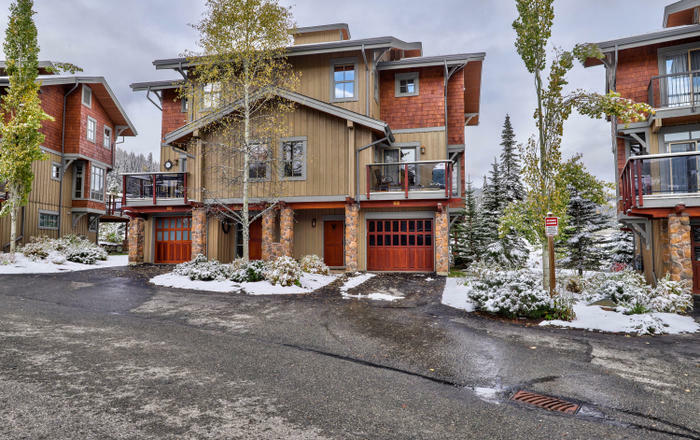 This spacious 3-level townhouse features an open floor plan ideal for family gatherings. 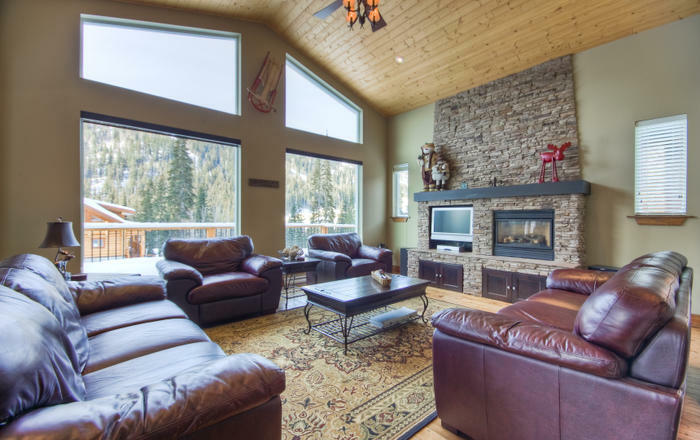 The in-line living and dining room feature hardwood floors, area rug and a beautiful river-rock gas fireplace. Upper level boasts three bedrooms, two of which share a full bathroom and the master bedroom with it's own full ensuite. Lower level has a spacious den with a sofa-bed and TV as well as a laundry room with washer/dryer. 3rd Bedroom (upper level) - one queen/single bunk bed, sleeps 3. 4th Bedroom (main floor) - one queen bed, sleeps2. Lower Level Den - one double sofa bed, sleeps 2. Main Floor Bathroom - 3pc with shower. Upper Level Bathroom - 3pc with walk in shower. Beautiful granite counter tops and stainless steel appliances in this gourmet kitchen make cooking the after-ski meal an absolute joy. 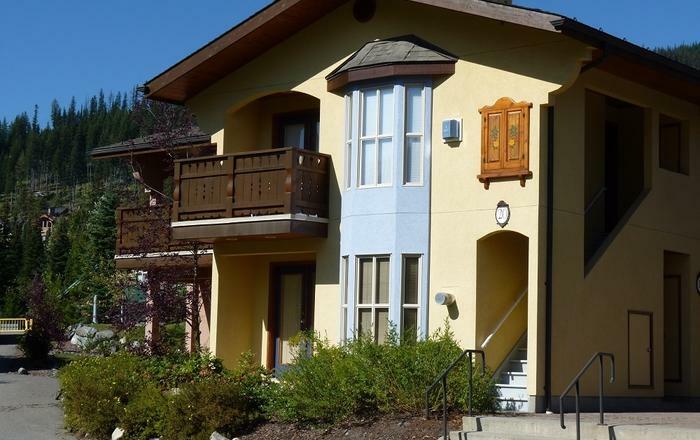 This spacious kitchen comes fully equipped with quality cookware, utensils, Blender, Coffee Maker, Kettle, Toaster, Dishwasher, Fridge, Heated Floors, Microwave Oven, Stove. 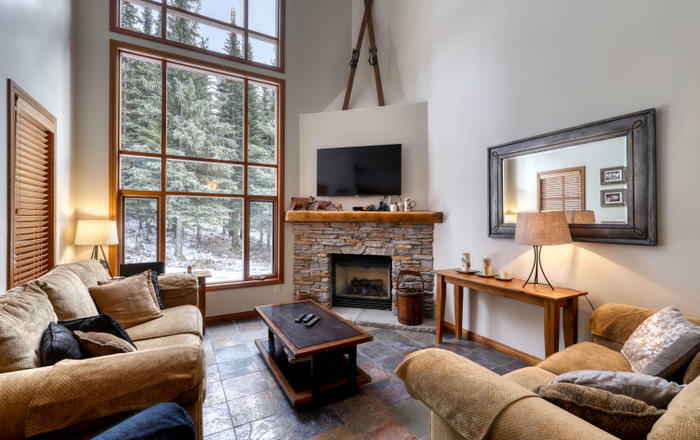 Comfort and elegance surround you in this area as you relax in front of the river rock fireplace and take in the views from the floor to ceiling windows. 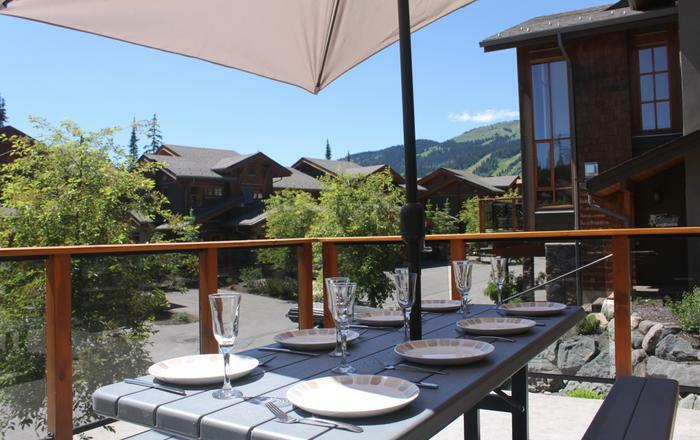 Enjoy the spaciousness of 15ft. ceilings in this open floor plan. Practicality meets quality in this spacious area with lots of room to pull up an extra chair or two! Large, glass sliding doors open out onto a large, private deck on one side, while a counter bar on the other side allows you to chat with folks in the kitchen while you enjoy a cocktail. 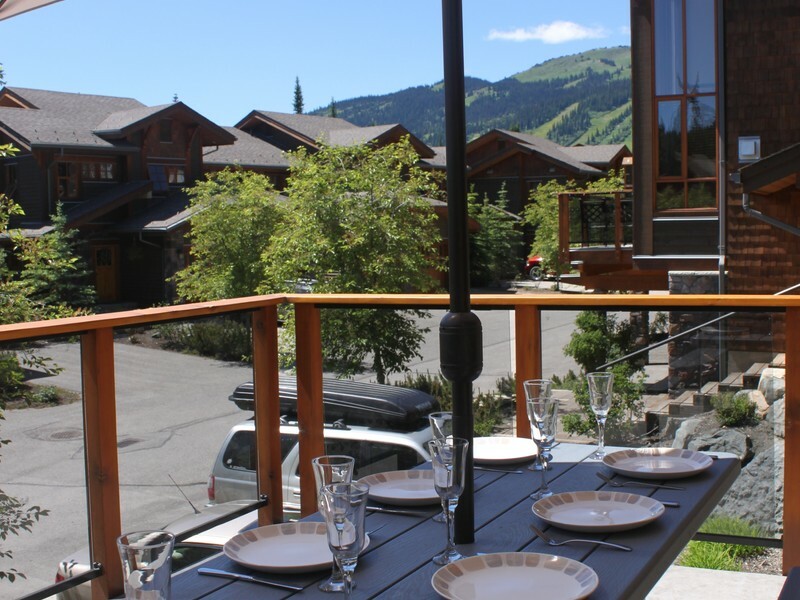 Ski-in/ski-out, At the end of the day, ski directly to your front door via East Village Ski-Way on Sundance Mountain.